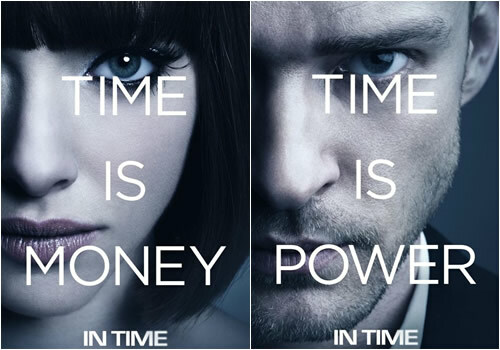 I was watching In Time this weekend, and while it's not the best movie I've ever seen, I couldn't help but think "Wow, this would make a fantastic dystopia series!". So, for those who have yet to see the movie, here's how the story works. The year is 2161, and time is the new currency. You can buy a cup of coffee for 4 minutes or a convertible for 50 years. Here's the catch. Each person stops aging at the age of 25. On their 25th birthday, this little clock on their arm starts to count down. See? Each person is also born with only one hour. That means they have to a) get some time from their parents or b) start working and earning time so they don't die. Time can be transfered with what I can only describe as a bro armshake (wrist to wrist contact). With that said, people can easily steal your time to where you're left with nothing and die. Now that you get the basic concept, imagine this: 2 people, one rich, one poor, working together to rob banks, steal time, and give it to the poor. 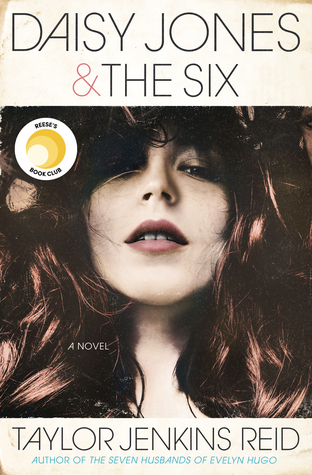 It's your modern day Bonnie and Clyde meet Robin Hood story but with a twist. Awesome. right? As you can already see, this society is already pretty horrific. I mean, there are gang members trying to steal your time/life. Yes, hot gang members, but vicious nonetheless. There are also the Time Keepers who try to keep the poor poor and the rich protected. They think of this as justice. EEEK! HIDE! RUN! RUN FASTER! If this was a book, there are so many ways the author could take it. You could leave it at Will's (Justin Timberlake's character) point of view. He's the poor guy who was given 100 years by a stranger and told to "Not waste my time" with it. You could even alternate the POV to Sylvia's (Amanda Seyfried), aka the rich girl who wants to break out of her confinds and finally live. You could even tell the story through one of the Time Keeper's points of view and truly see how twisted this world is. Who wouldn't love a book like this? It's like The Hunger Games only everyone is a tribute! Needless to say, if this movie was ever turned into a book, it would be pretty epic. I loved this movie too, and I totally could see the dystopia on it. I loved that time was a currency , and all the hot actors. 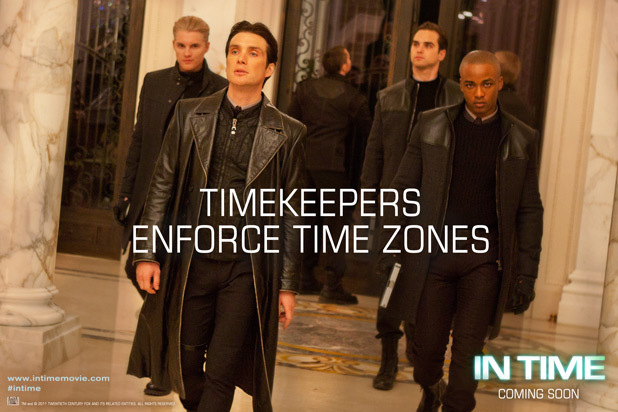 Did everyone watch In Time this weekend??? It was such a cool concept that didn't quite deliver but it would make a fantastic book!!! I loved that movie!! It would be an awesome book!! I watched it this weekend too! It is loosely based off a short story, but very loosely. And yeah, I could see a good spinoff story. Kind of like they do for some tv series, like they did with Buffy the Vampire Slayer. Or with Star Wars and Star Trek that have tons of books now. 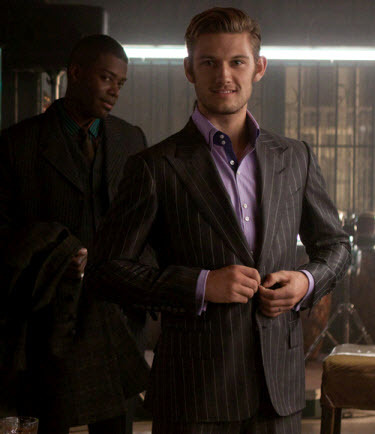 @Julie- Yeah, the hot actors are what made me watch the movie to begin with, lol. Time is money, honey! @Catherine- Oh, absolutely. The concept is one of the better dystopia ones I've seen in a long time. @Lisa- I saw the plagerism law suit involving the short. The guy apparently dropped it, so I'm guessing it was too loosely based? It would be awesome if someone decided to write a spinoff story like they did with Buffy. I'd read it! I have yet to see this movie (though I should remedy that since it's got Justin T in it - love that guy! ), but it sounds fantastic. And yes, this would make for a great novel! I loved this movie and when I was watching I thought about how great a book this would have been. Now I see your posts and I'm reminded of that. This would be a good book! I watched this movie yesterday for the first time and it was pretty good.